Security awareness training is a formal process for educating employees about computer security. A good security awareness program should train employees about corporate policies and procedures for working with information technology (IT). One of the most significant threats to information security could come from within your company or organization. Inside ‘attacks’ have been noted to be some of the most dangerous since these people are already quite familiar with the infrastructure. It is not always disgruntled workers and corporate spies who are a threat. Often, it is the non-malicious, uninformed employees. 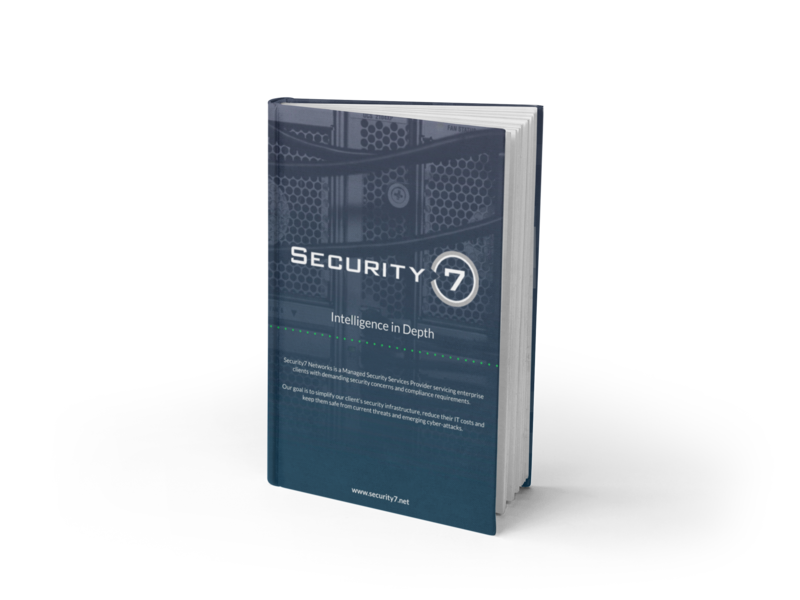 Security7 Networks’ information security training is intended for all employee branches including customer service, human resources, legal, marketing, finance, operations, and salespeople who have access to an organization’s computer systems and information. Security7 Networks provides training and awareness that is simple while still delivering the proper fundamental security information and practices. Real-world examples and exercises engage the learner with applicable content. We've been using Security7 Networks for a bit more than one year. We reached out to Security7 after we suffered from two different Ransomware attacks. They came in quickly to review our needs, and now manage our firewall and virus protection for about 45 workstations and three servers. Very reasonably priced for a small business, and with that being said, their continued support is outstanding. It's hard to find a company with their level of service these days. No matter how big or how small the issue, they always amaze with their performance. We couldn't be happier!